Rinne and Sakura are used to daily life with meddling spirits and love struck Shinigami girls, but nothing could prepare them for the misadventures that lie in wait with new love rivals, annoying black cats, and more damashigami schemes. 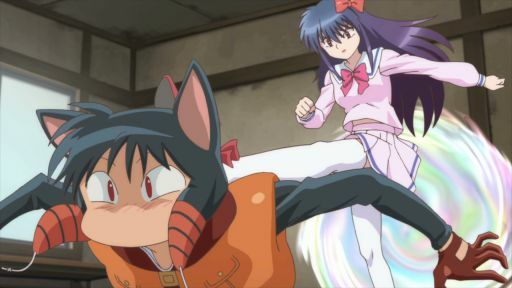 Rinne is tasked with dealing with an unexpected infestation of snake spirits, but chaos ensues when a black cat named Oboro begins to terrorize Ageha with them. Rinne helps a spirit who never got to play tennis while he was alive. Later, Jumonji is hired to conduct an exorcism on a spirit girl… only to end up on a date with her? As an employee in the Lifespan Census Bureau, Kain refuses to let Rinne off the hook for supposedly unpaid membership fees. However, Rokumon swears that he paid on time! A ghost that looks like the school president has been seen spray painting buildings and hustling students for money. 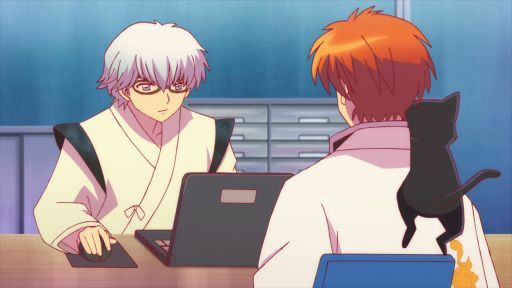 Can Sakura and Rinne help this delinquent find peace? It’s Golden Week, and, for some reason, Rinne’s father is asking everyone, even Sakura, for money. Later, a job takes a strange turn when the demon Masato makes an entrance. 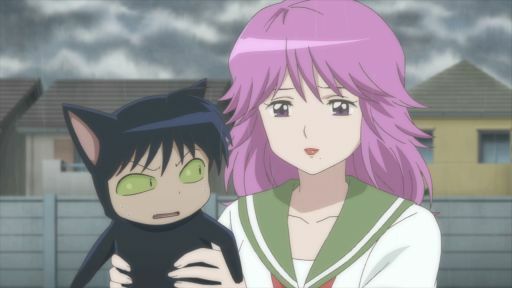 Shinigami children are supposed to train by escorting pets to the Wheel of Reincarnation, but Rinne ends up hosting a stubborn child whose goal is to fight evil spirits! Shoma can’t wait to get away from Rinne, but he’s still short on points. Masato seizes this chance to get revenge and tricks Shoma with a fake Evil Spirit Sensor. At a nearby shrine, Sakura finds a photo of her teacher Suzuki-sensei inside of a cursed straw doll. The culprit? A ghost girl bound by guilt and obsession. Rinne’s scythe is in a state of disrepair, and the shop he usually goes to raised their prices! Craziness ensues as he places his weapon in the hands of a smithing rookie. Rokumon attends a Black Cat party for a chance to enjoy fancy cat food! The condition: catch a Jealous Cat spirit before the other Shinigamis' cats do! When Rinne turns down Sakura’s invitation to a summer festival, the last thing she expects to see is him holding hands with another girl at the shooting game! Is this a date? E12 | Ghost Rubber Boat/ There's Something in the Tunnel/ Welcome to Nehanya! Rinne, Ageha, Sakura, and a very tanned Jumonji work with locals at the beach to help quell troublesome spirits and guide lost souls on a ghost beach. A beautiful transfer student is possessed by a spirit and it’s luring boys’ souls from their bodies! She claims she’s cursed, but does she have an ulterior motive? Renge has one more trick up her sleeve to get back at Rinne, and it involves turning Sakura in the most popular girl in school and forcing Rinne to do damashigami work! An accident with Rokumon’s tooth spawns his evil clone. Later, the Black Cats go mushroom hunting, but Rokumon leads Oboro and Suzu to capture the most dangerous kind. Ageha gets her hands on Breakup Kit, but her plan to separate Sakura from Rinne results in an even bigger misunderstanding between Rinne and Renge the damashigami. 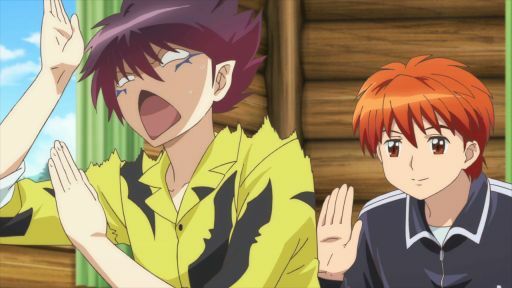 After a strange encounter with Masato the demon, Rinne gets tricked into attending his elementary school reunion by someone who harbors an old resentment towards him. The test to level up as a black cat contractor is brutal and filled with distractions. 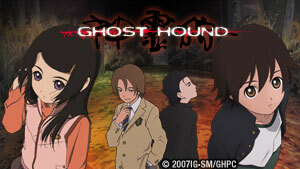 Rokumon, Suzu, and Oboro try to make their Shinigami proud with disastrous results. Rokumon and the other black cats continue the Level-Up Test. As the felines battle it out, will Rokumon be able to level up so he can purchase Shinigami tools at a discount? When a girl gives a scarf to a boy, a phantom scarf appears and strangles him! 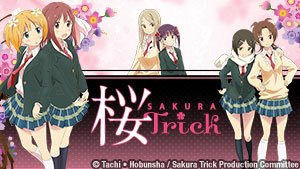 To lure the haunted scarf, Sakura agrees to knit a scarf for Rinne by hand. Kain searches for the owner of a coin purse he found in a Damashigami shop raid. Unfortunately, it belongs to Renge, and she’ll do anything to make sure Kain doesn’t find out. E23 | Sakura the Shinigami?! A scythe that chooses its owner… has chosen Sakura! Together, she and Rinne try to purify a (very valuable) black fox spirit. Meanwhile, Sabato schemes to get the scythe. 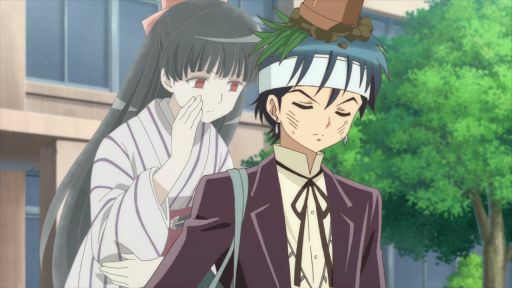 Matsugo, Rinne’s enemy-turned-admirer, invites Rinne to a Shinigami school event. To escape this “date”, Sakura agrees to pretend to be Rinne’s girlfriend. Rinne desperately tries to correct a misunderstanding with Sakura, who, despite knowing that she’s sad, can’t place the reason why. Can he patch things up before he loses her?